Choosing Easy Sewing Patterns for Beginner Sewing Success! 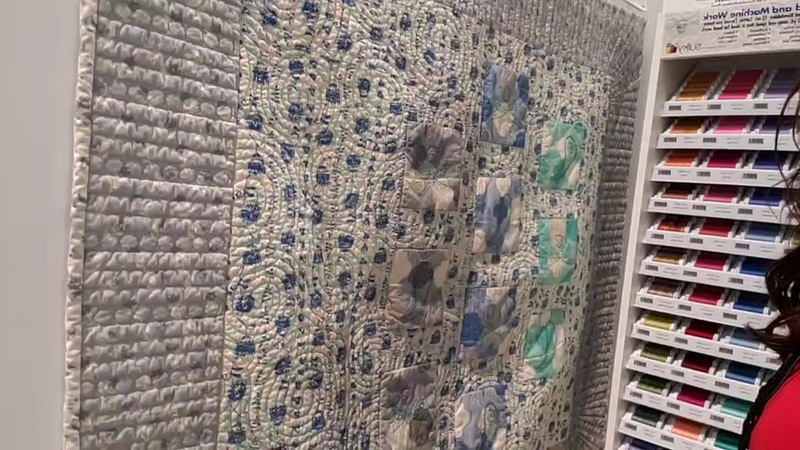 Hopefully you had time over the weekend to spiff up your sewing room. 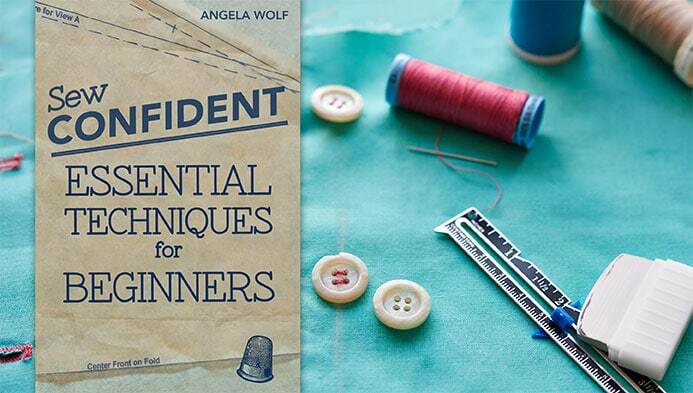 My Craftsy class “Sew Confident: Essential Techniques for Beginners” has officially launched and we are already just shy of 500 students. Very Exciting! 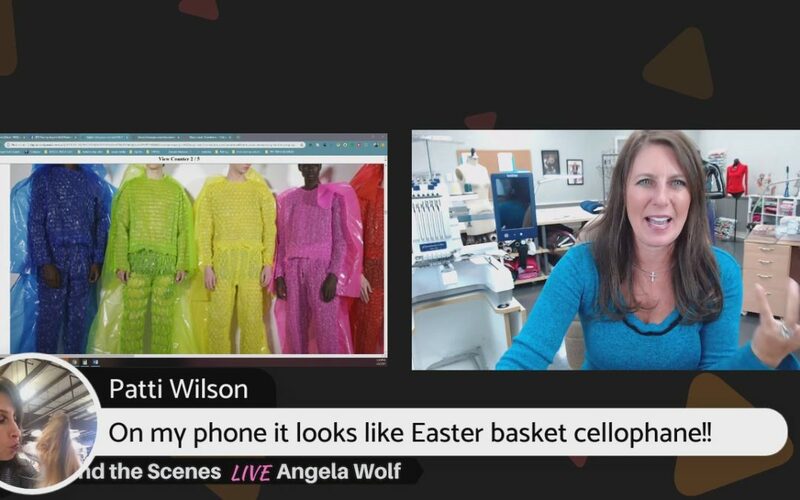 Wondering what’s covered in the class? Here is a link to the trailer video and as promised a SPECIAL 50% DISCOUNT if you would like to join us today. Let’s get started! 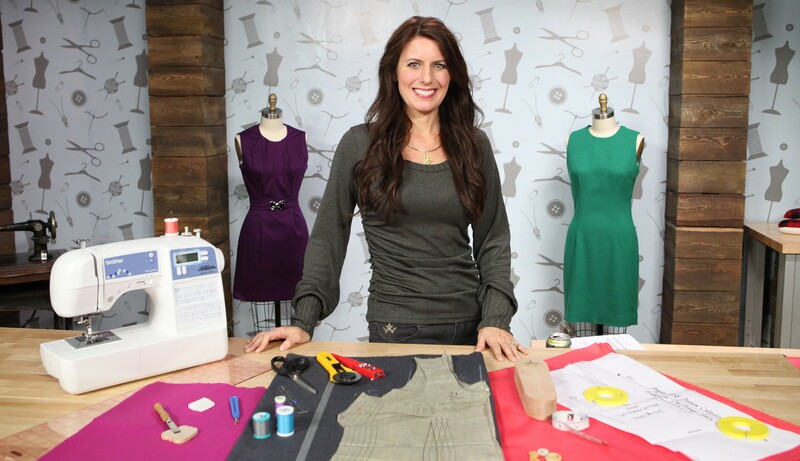 In case you missed last week’s message, the series for beginner sewing starts now. 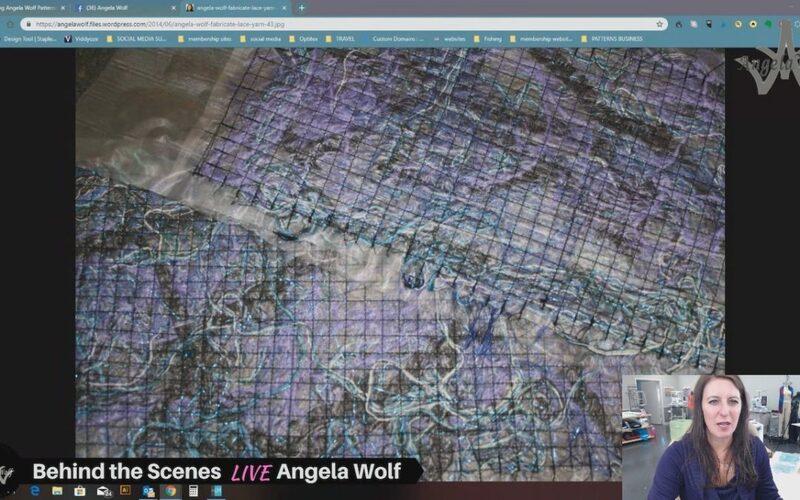 What’s the big deal about finding a pattern anyway? 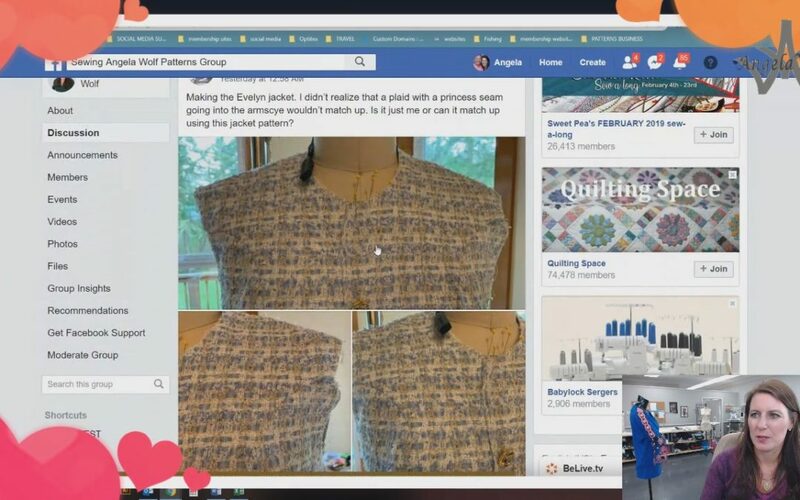 Scan the pattern books, find a cute cover photos, and you are ready for sewing success, right? 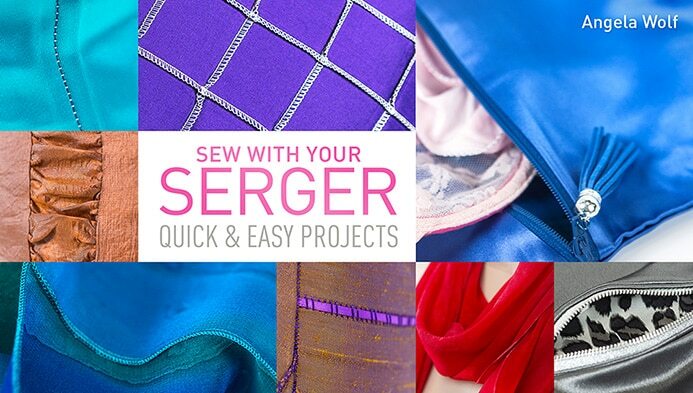 The serger can do so much more than simply finish fabric raw edges. Using crochet thread or yarn in the upper looper can create an entirely different look! 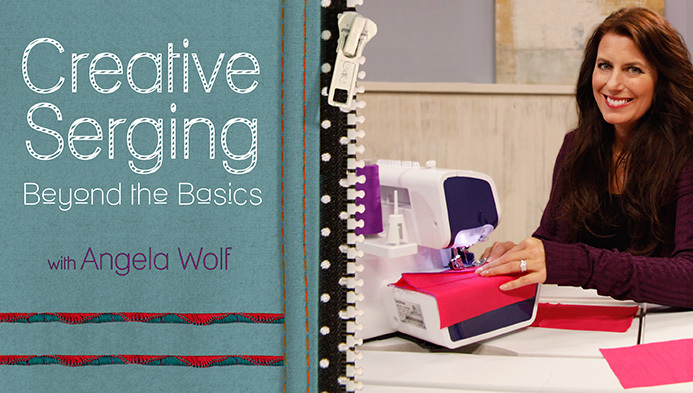 This is a great way to restyle or embellishment fabric or a garment. 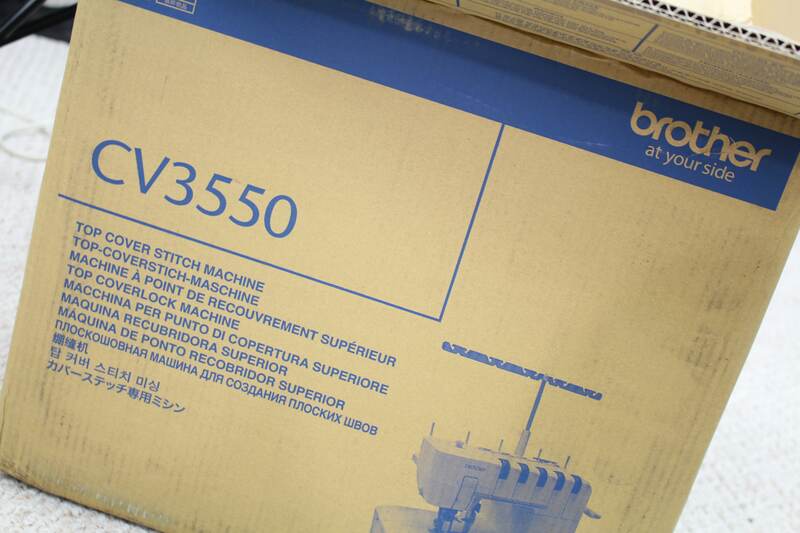 I am using the Brother Serger: 3-thread flatlock stitch with a decorative crochet thread in the upper looper. The left needle and lower looper have a similar color polyester thread. 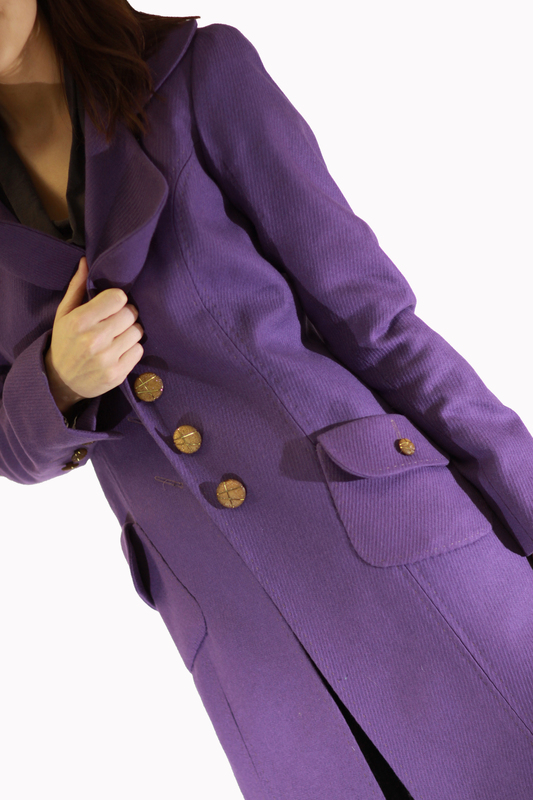 The photo above shows the front of the flatlock stitch and the backside. The backside looks like a ladder stitch. 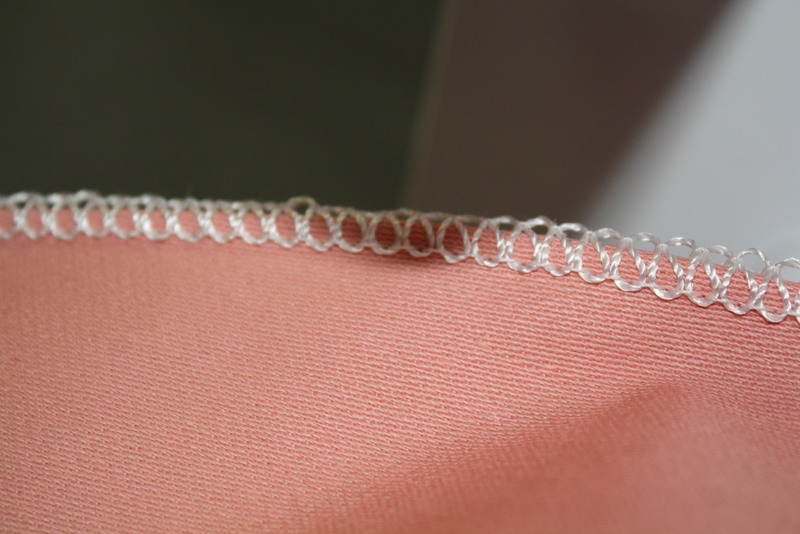 (the peach thread is just the serged edge of the seam). I started with the Kate Skirt Pattern. 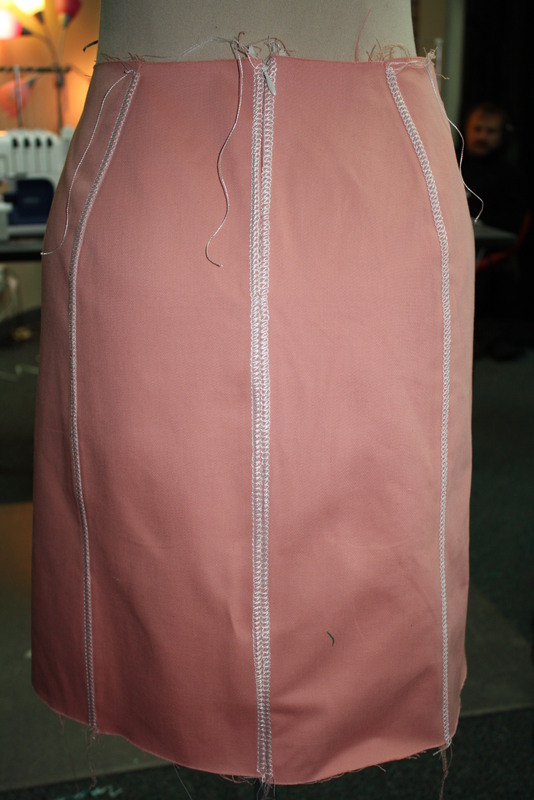 I added seams to the front and center back, but you could just pencil in a line with tailors chalk – it doesn’t need to be a seam to add the flatlock decorative stitch. 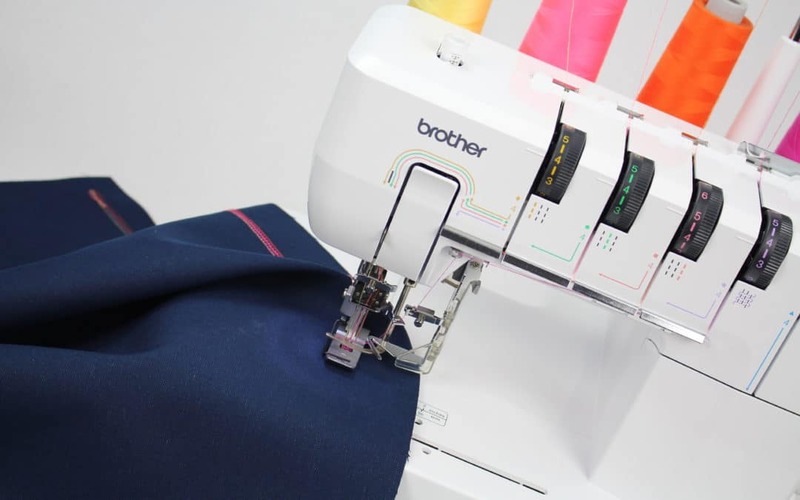 Set your serger up for a 3-thread overlock: I am using a serger from Brother and the standard setting for the needle and looper tensions are 4. 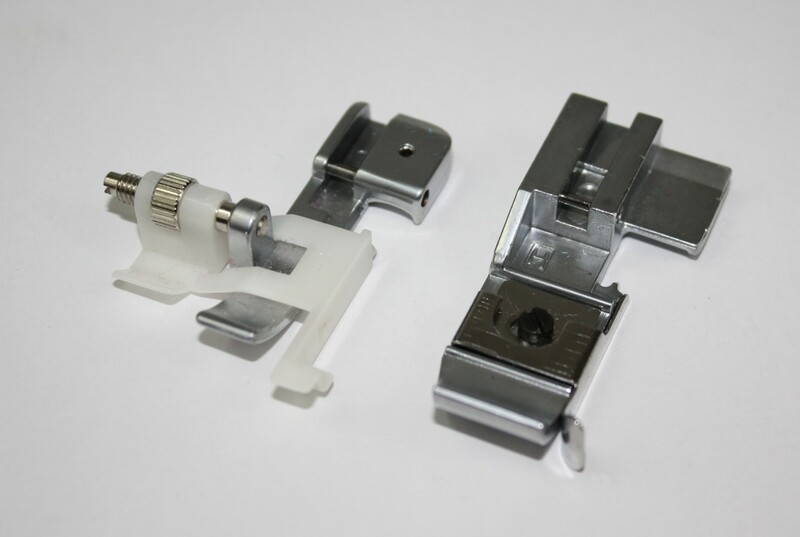 When I give you new tension numbers you can compare this with your serger, if your serger has manual tension dials. 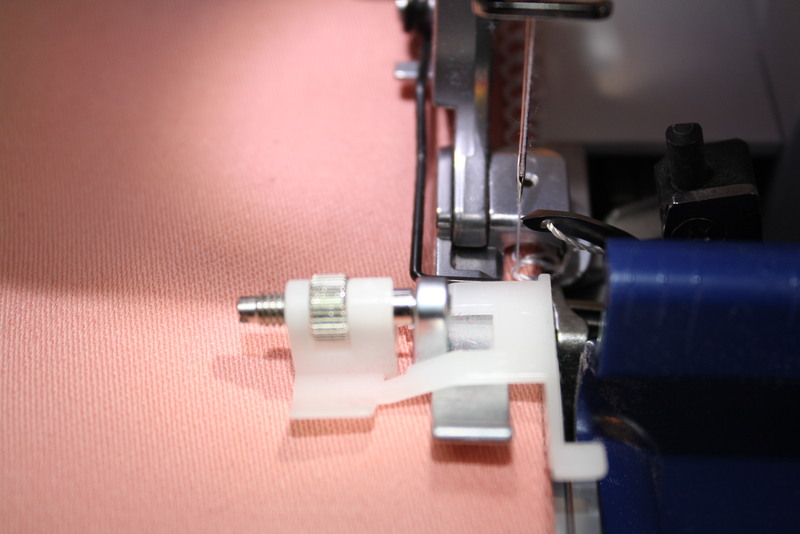 If you are serging with an air-threading serger, like this Babylock, set up your serger for the 2-thread flatlock – wide. Thread the upper looper (or the only looper for the 2-thread flatlock) with a decorative thread. 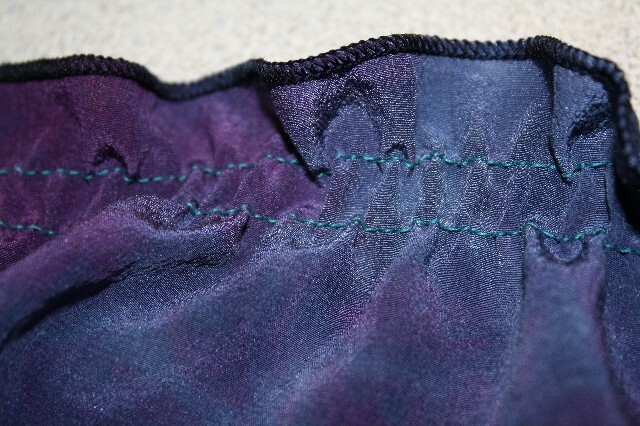 Use standard poly serging thread in the needle and lower looper. These setting serve as a guide. 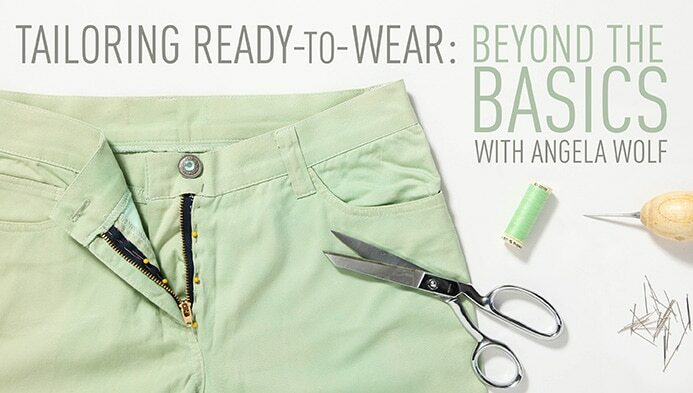 It will depend on the fabric and thread you end up serging with. See if your serger had a Blind Hem Foot, if not you can use the standard foot. 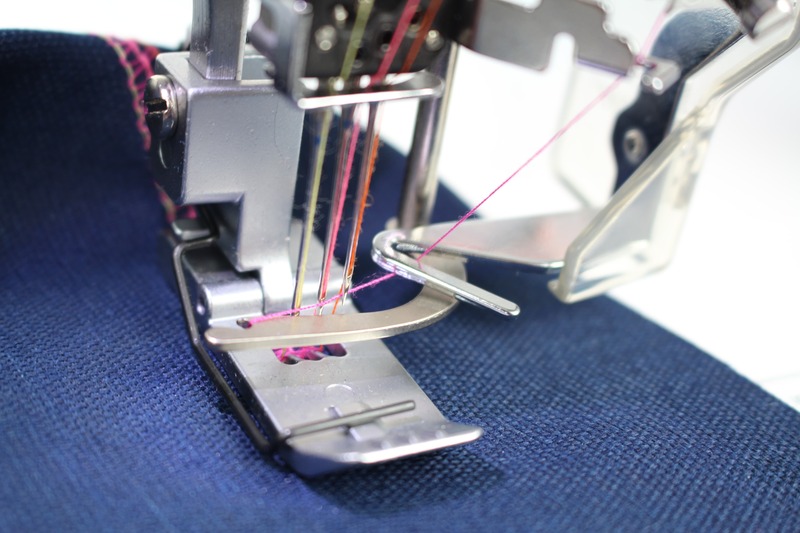 There is a setting on the foot that moves to the plastic or metal piece to right and left, allowing the needle to pierce more or less of the fabric. 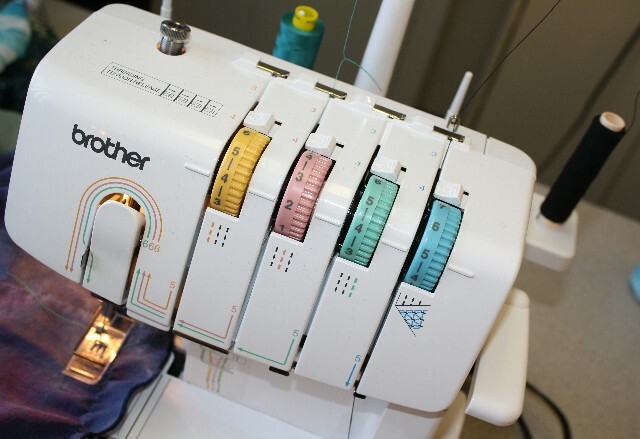 Test the stitch on your fabric to determine the setting. 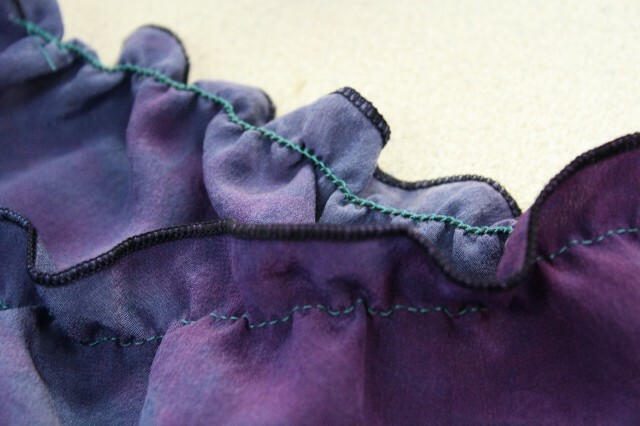 Fold the fabric in half or if you are embellishing a seam, fold along the seam line. 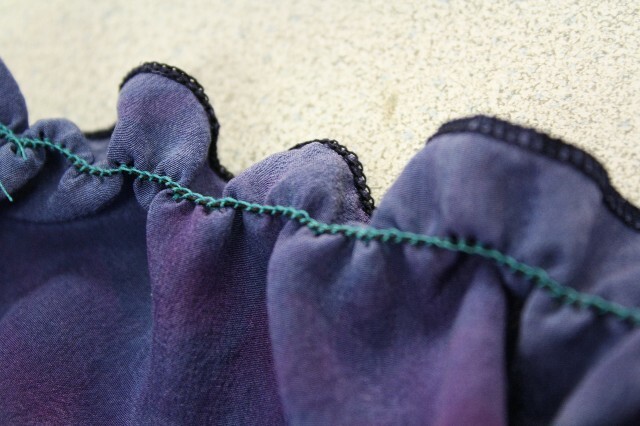 Align the fabric along the shield on the blind hem foot (if using a standard foot, mark a spot to align with). 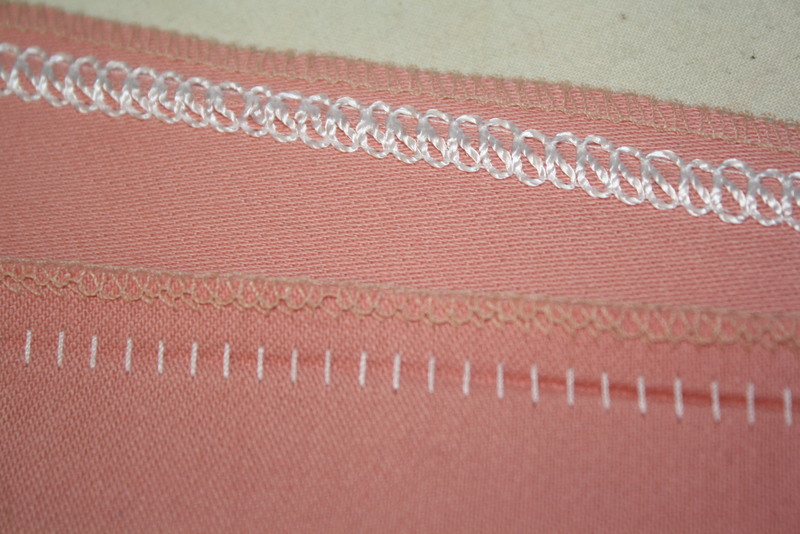 The idea is for the needle to pierce the fabric – half the stitch is on the fabric and half is off the fabric. 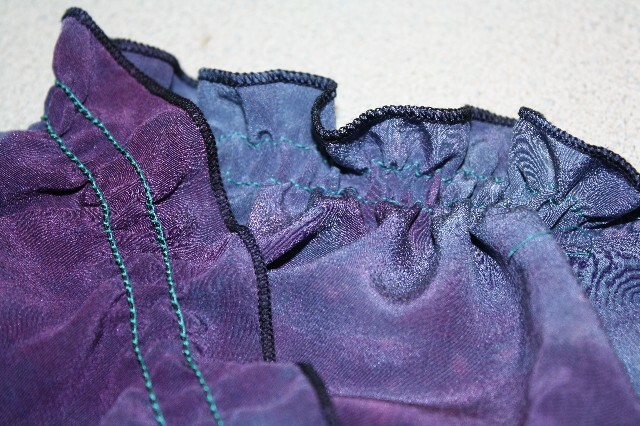 In fact the stitch looks really messy coming out of the serger! 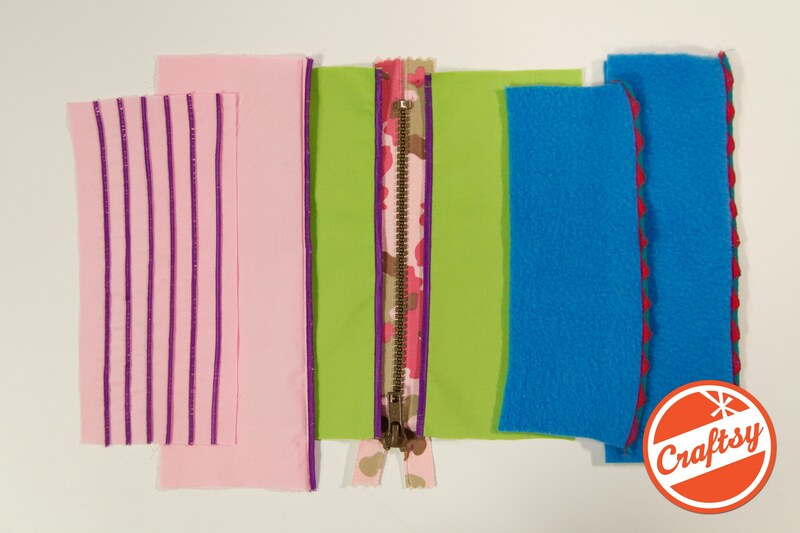 Stretch out the folded fabric to lie flat and press. Pretty simple, but so fun! Have you ever tried this before? I would love some more ideas for decorative threads or yarns to use with this stitch. 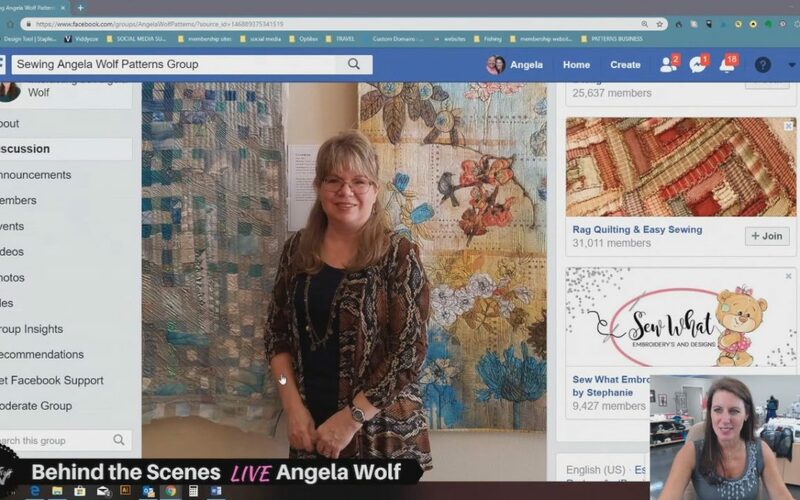 Loose flowing tops are right on trend right now, here is a quick way to add a little flair and fit with one of my favorite serging techniques; ruching with elastic thread. 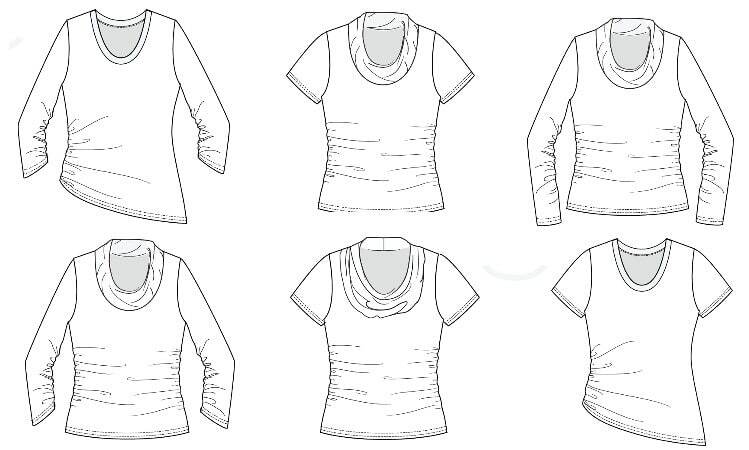 Add the ruching to the sleeve edge, hem or neckline. 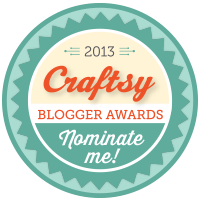 This is so cute and really easy! 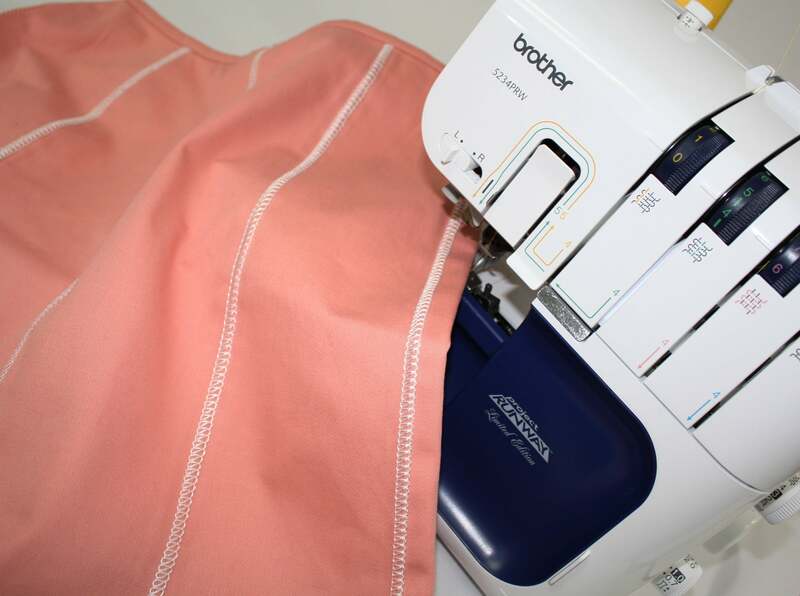 This ruching can be done on a sewing machine by winding the elastic thread in the bobbin, threading the machine with any silk, cotton, or polyester thread, and stitch with a narrow zigzag. 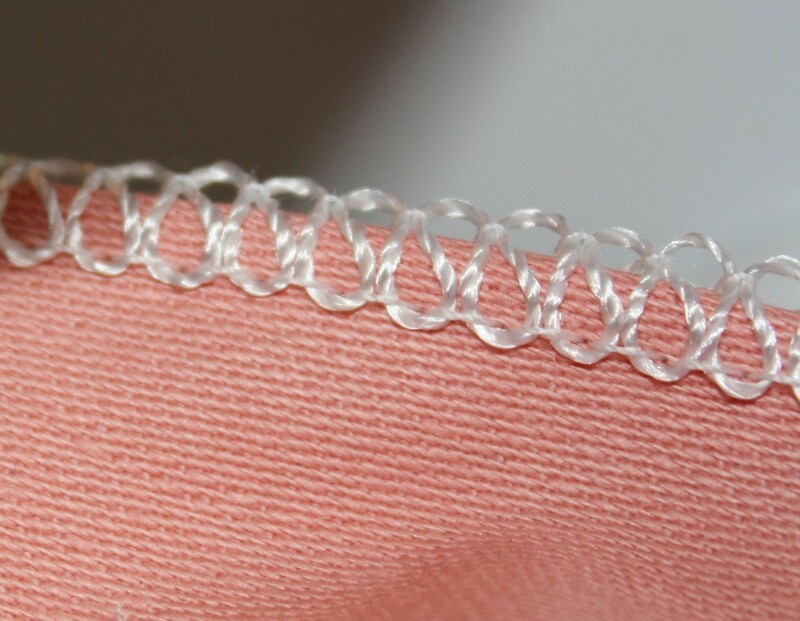 What about serging with the chainstitch? 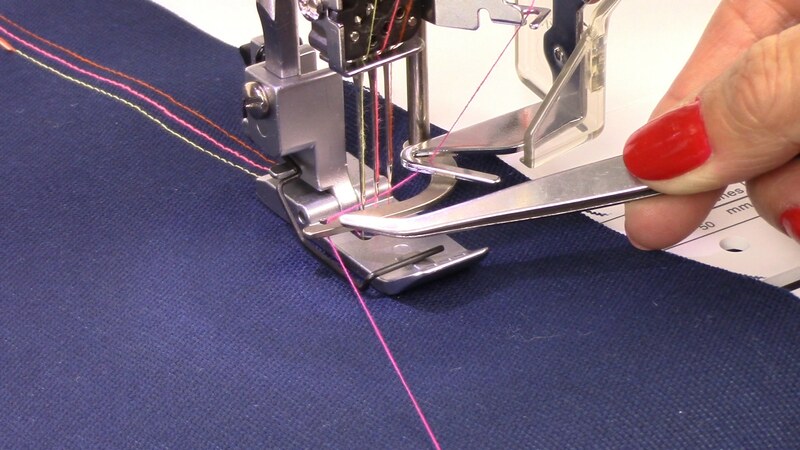 The chainstitch is found on coverstitch machines or sergers with the added coverstitch function. 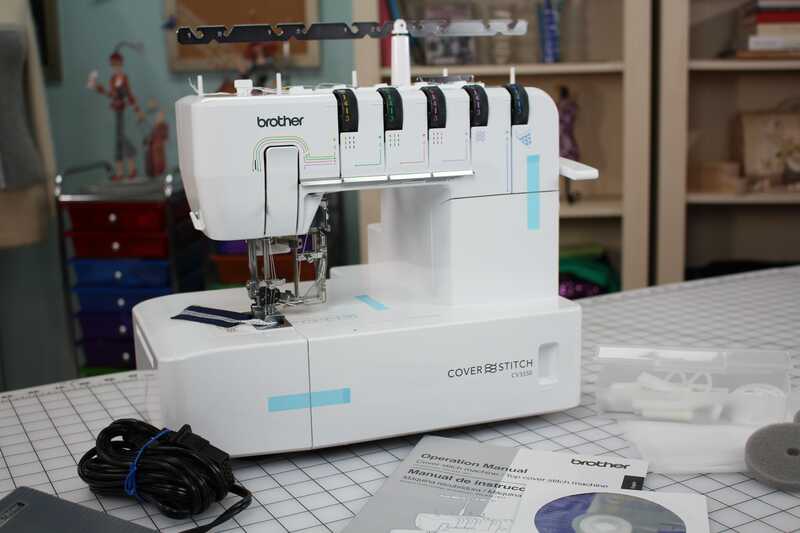 When adjusting the tensions, my coverstitch has a standard setting at 4 – so adjust the tension on your machine accordingly. 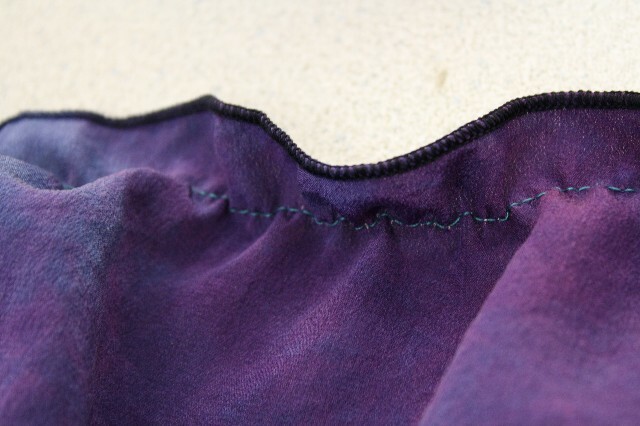 Then simply run the edge of the fabric through the serger. 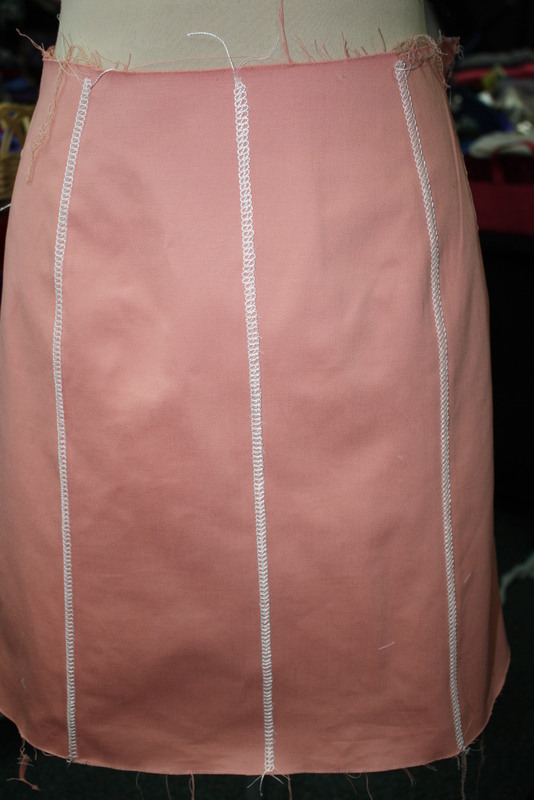 The photo’s below show you the front and back side of the first row of stitching. 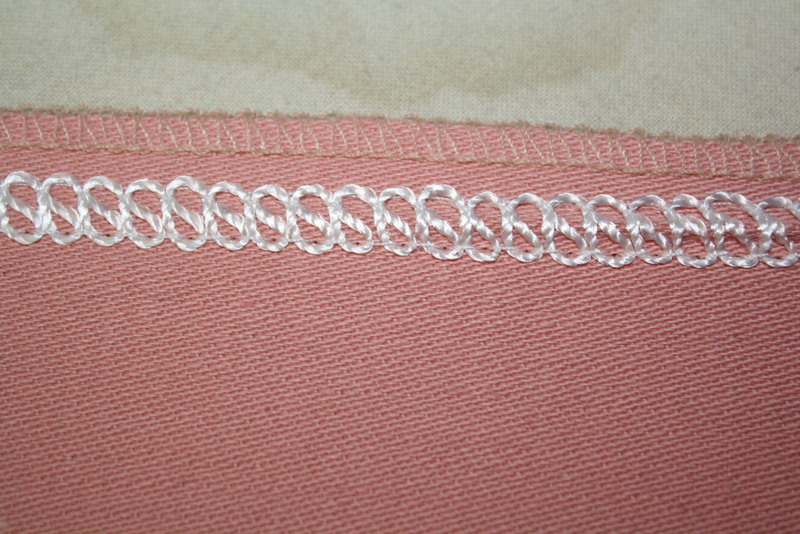 Put the fabric back in the machine, line up the previous row of stitching with the edge of the presser foot and stitch. That it! 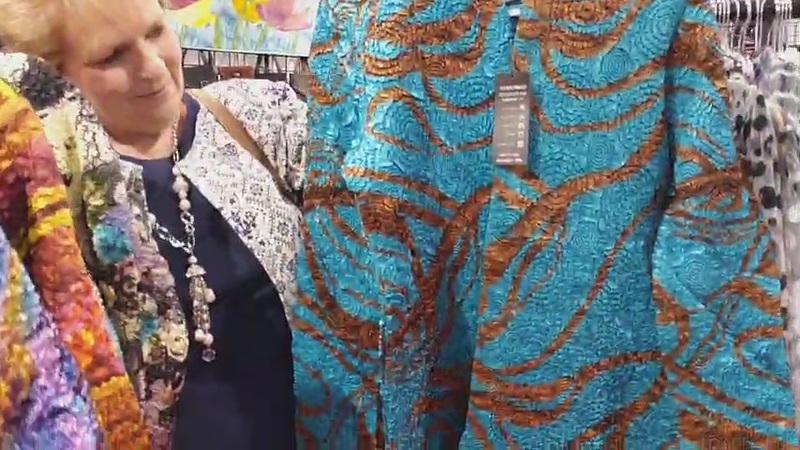 I usually ruch 2 – 6 rows depending on the design. Another idea is to ruch the waist on a skirt – the elastic ruching makes a great waistband and then you wear the waist high or low. I will dig up a photo of my silk bathing suit cover up that is sewn like this.